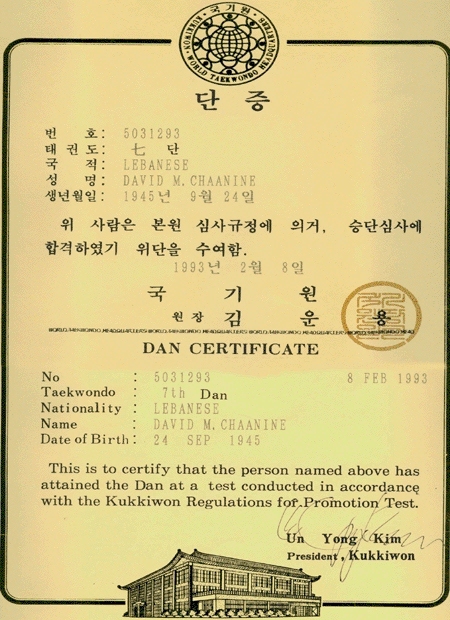 and teaching to hundreds of people, he spread Taekwon-Do throughout Lebanon. He also introduced the art to other Arab countries. his reply, "I am done with the Dan." 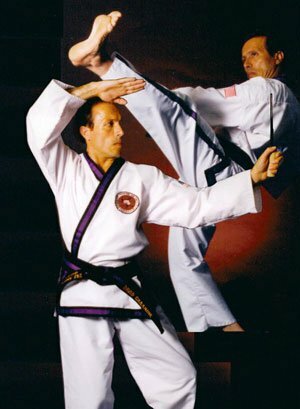 In 1965, Grandmaster Chaanine began instruction in Taekwon-Do, a style called Choung Do-Kwan. He became a 1st Dan in 1967. Sarraf, Dr. George Ghanem, and Mr. Hussain Hamdan, to mention a few, helped TKD spread throughout Lebanon. says is the only legitimate founder of the modern Taekwon-Do. Before Taekwon-Do, there were many martial arts in Korea. For further knowledge about this subject refer to General Choi's TKD book..
the founder of the Al Magaweer. Many dedicated officers in the military academy practice Taekwondo. 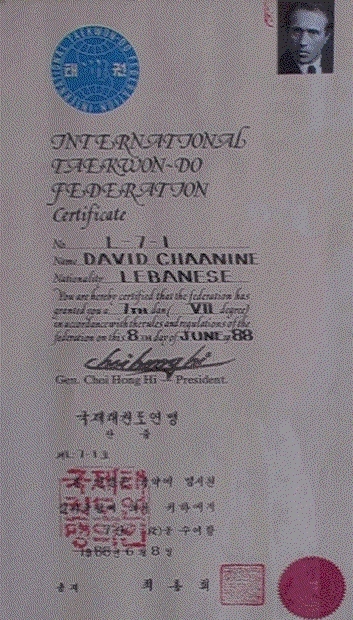 From 1968 to 1976, Grandmaster Chaanine promoted Taekwon-Do in Lebanon. At this time Taekwon-Do was in its infancy world wide. credit to the art he teaches to this day. The many students that follow his guidance have become the elite of Taekwon-Do in Lebanon.